1. You can only really make one game changing decision in the entire game, and it is at the very end of the game so you can simply save and choose one ending and then reload and watch the other 45 second ending. 2. Loot is not randomized so you do not grind for loot; in fact you can only customize your own guns with two mods and the guns you can buy get three mods- so bottom line is you end up just using their premade guns. 3. Leveling up is a joke as it takes no real effort at all to max out your “skill trees”. Now I don’t mind a level up system where if you put hours and hours into a game you can basically fill out your skill trees with basically everything you want (Borderlands 1) and only have to worry about the few skills you do NOT want, but when you can fill EVERYTHING out with little to no extra effort- THAT is a fail. awesome happens” guitar hero bull crap. You spend hours prepping a mission and go in to fight the bad guy to click B, A, X,X,B and that’s it? And the buttons you push are ALWAYS the same, so it basically results in you dying a half a dozen times while trying to memorize the exact order to push buttons? Seriously, this is so bad it hurts my brain. have bought the game I expect it to at least not have game breaking glitches, and if it does to recall the games and give you a new copy. GBG’s are a fail. Bottom line is that this game is not worthy of even being in the top 10 of games of the year, let alone even being worth full price. 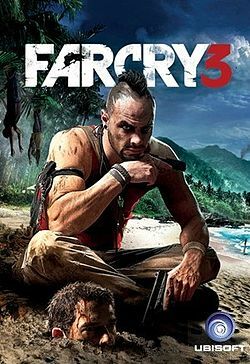 I would give the overall value of this game 2 out of 5 stars due to its lack of delivering anything special while giving you game breaking glitches. Overall Value: 2/5 stars, orunder $20 value. Would not recommend buying a copy unless it was under $20.